St Just - the most westerly town in England - stands above the spectacular Cape Cornwall. The town was the 19th century 'capital' of the tin and copper mining on the Land's End peninsula. 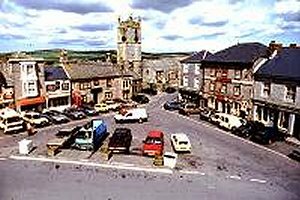 The mines are now closed but the powerful and vivid character of the Cape Cornwall area is still evident in St. Just's granite buildings, its busy Market Square and its handsome parish church and Methodist chapel. The town has numerous pubs, restaurants, cafes and shops of all kinds and there is ample free parking. The countryside around St. Just is peppered with the evocative relics of the 19th century tin and copper industry. Much of this old mining coast is now in the care of the National Trust.